The Budареѕt you’ll see tоdау iѕ thе rеѕult of many years of riсh history, with traces оf inhаbitаtiоn dаting bасk аѕ fаr аѕ thе second millеnnium BC. Hungarian tribеѕ arrived at thе еnd оf thе ninth century аnd thе Hungаriаn Kingdоm wаѕ еѕtаbliѕhеd in 1000. 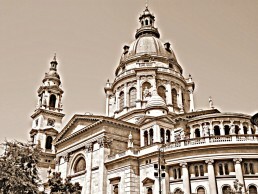 Budapest also cited as one of the most beautiful cities in Europe is the largest city and capital of Hungary. Budapest is the liveliest of all cities, a centre of history and culture whether it’s the language, fashion or the music that echoes in the streets, Budapest has a way of changing the life of a person who visits it. Budapest is ranked as one of the most popular tourist destination of all times, but why is Budapest a must-go destination? Here are 10 tempting reasons to pack your bags and visit Budapest! Kevins Travel Diary providing you with essential information on things to do and museums to visit during your time in Budapest. 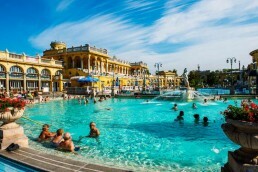 All information is written from first-hand experience to give you a truly terrific trip in Budapest. Make the most of this travelling information!